Ruth Stelter Service Details - Maryville, Missouri | Price Funeral Home, Inc.
Ruth Alice Stelter, 90, of Hopkins, Missouri, died Monday, November 26, 2018, in Pella, Iowa. Ruth was born on August 26, 1928, to Alph Martin Sorenson and Alice Ahlstrom Sorenson of LaCrosse, Wisconsin. After graduating from LaCrosse High School in 1946, Ruth attended Iowa State University in Ames, Iowa. She received a Bachelor of Science degree in Dietetics in 1950. She met her future husband, Robert Stelter, at Iowa State. They were married in LaCrosse, Wisconsin, on September 15, 1951. They enjoyed almost 66 years of married life together before Robert's death in September, 2017. After their wedding, Ruth moved with Robert to Hopkins, where together they ran the family farm. Although born and raised a city girl, Ruth eagerly jumped right into farm life. She supported Bob and the farm by helping in any way she could with the livestock and crops, and she also co-managed the business end of the farm. Ruth took great pride in cultivating and caring for a large vegetable garden and beautiful yard. Throughout her life, she enjoyed putting three delicious, nutritious meals on the table every day. She was a loving mother to her five children, and she always encouraged their individual interests and talents. She and Bob loved to travel, and they took trips to many different places in the world. In her later years, Ruth especially enjoyed visits with her children and their spouses, her 9 grandchildren, and 2 great-grandchildren, Ruth was known by her family for her positive, sunny outlook on life, her spritely sense of humor, and her graciousness to everyone she met. Ruth was a member of the Hopkins Wray Memorial Methodist Church. When her children were young she taught Sunday school and was a leader of the Four Leaf Clover 4-H club. Ruth is survived by her children: Nancy (Jim) Johnston, Houston, Texas; Susan (Sam) Stelter Fernandez, Manahattan Beach, California; Linda Stelter, Pella, Iowa; Steve (Kelly) Stelter, Maryville, Missouri, and Mark (Jenni) Stelter, Pella, Iowa. Ruth is also survived by nine grandchildren: Jennifer Johnston Pierson, Kristina Fernandez Mabrie, Michael Fernandez, Siri Stelter, Alex Stelter, Madison Stelter, Laurel Stelter, Soren Stelter, and Easton Stelter, and by two great-grandchildren, Evangeline Pierson and Beckett Pierson; two brothers, Arvid "Spike" Sorenson, Brooklyn Park, Minnesota and Arney Sorenson, Camarillo, California. Visitation will be held at Wray Memorial United Methodist Church in Hopkins on Thursday, November 29, from 6 to 7 p.m.
Funeral services will be held at the Wray Memorial United Methodist Church in Hopkins on Friday, November 30, at 2 p.m. Burial will follow at the Miriam Cemetery in Maryville. In lieu of flowers, the family requests that contributions be made to the August Stelter Scholarship Fund, 800 University Drive, Maryville, Missouri 64468 or the St. Francis Hospital Foundation. 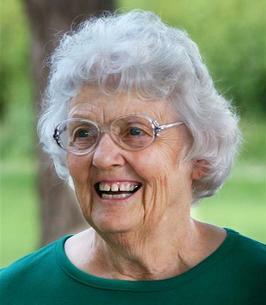 To send flowers to the family of Ruth Alice Stelter (Sorenson), please visit our Heartfelt Sympathies Store. Provide comfort for the family of Ruth Alice Stelter (Sorenson) by sending flowers. So sorry to hear that Ruth had died. She and my mother, Evelyn (Ahlstrom) Bergerson were first cousins, who grew up together and graduated from high school together. My mother recently died, January 26. Prayers of comfort for Ruth's family. In sadness, sending our love and condolence to your fine family. Years and miles away, but every memory of Ruthie still vivid and one of warmth, kindness, and grace. I am deeply sorry for your loss. May loving memory comfort you all, as it surely will. How blessed to have had such splendid parents as Ruth and Bob. So very sorry for your loss. Ruth was a great woman.Our thoughts and prayers are with you thru this difficult time. To Ruth Stelter family. So sorry for your lost. Ruth will be missed. Your in our thoughts and prayers.